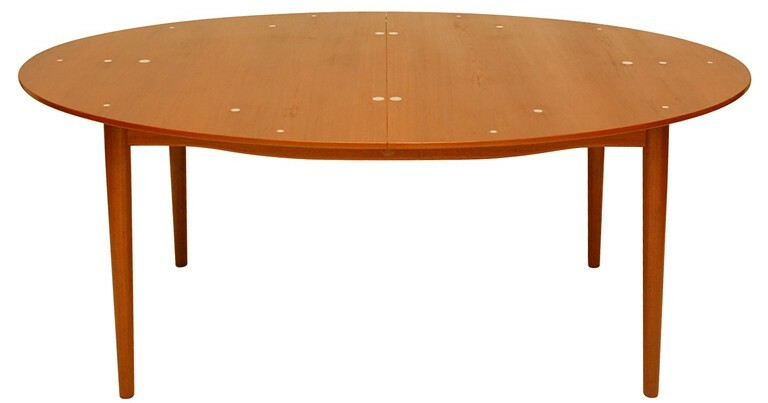 Oval dining or conference table in walnut or a combination of teak and oak with silver plaquettes. 1948. 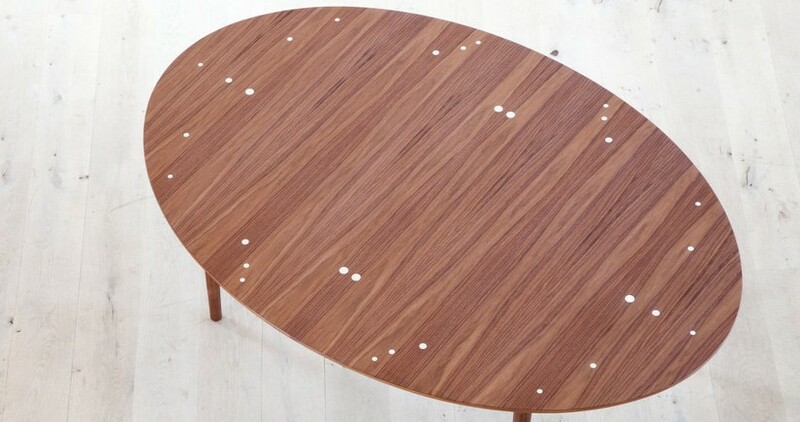 The Silver Table was originally designed by Juhl for his own private home, but was later manufactured by cabinetmaker Niels Vodder for the public during the late 1950s. 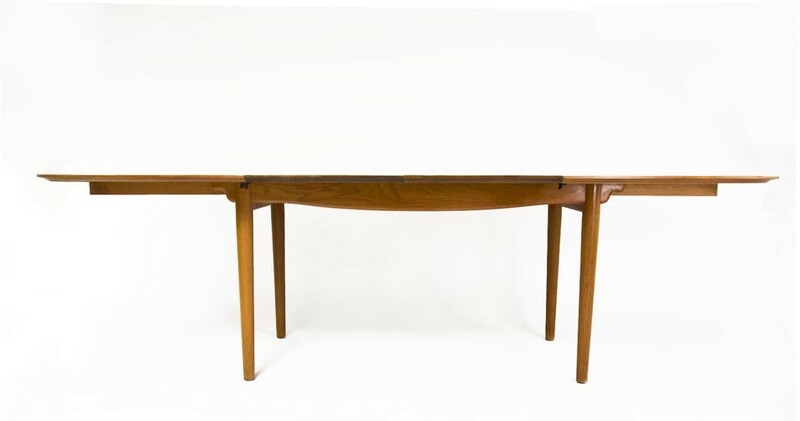 For many years, The Silver Table was called the Judas Table due to the association between the number of disciples at the Last Supper and the table’s iconic silver inlays. 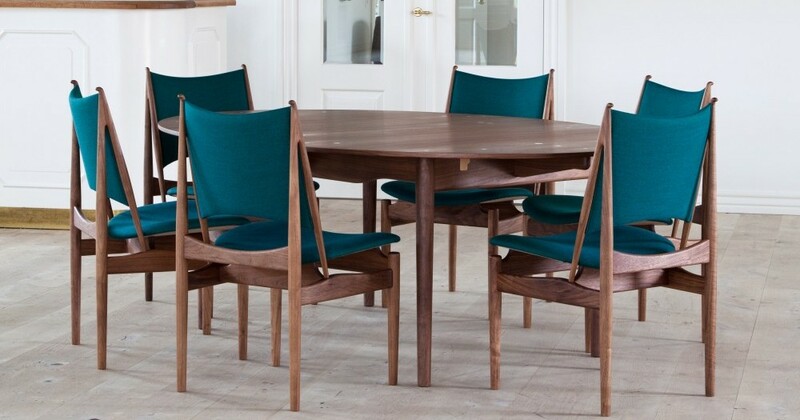 “Today, however, we prefer to call it The Silver Table, because the 30 silver plaquettes on the table top are such a unique and typical Finn Juhl design feature in its attention to aesthetics, innovation and craftsmanship,” explains director Hans Henrik Sørensen, Onecollection.